Programs like Windows Movie Maker have allowed teachers to use videos for online education since LMS platforms support this type of register. Recently, the network currently offers suggested online resources for specific uses within the classroom. Clipchamp is an online resource that allows you to edit videos. This tool converts a video file, for example a set of images and creates videos from the webcam. The basic account without cost allows 5 videos per month and 5 minutes for video recording with a webcam. Access to the resource is linked to Facebook. The tool offers editing options and the video can be published and shared on the network or downloaded in mp4 format. It is a very useful resource at the beginning of the course to register the presentation of a student's teacher or, during the course, develop a brief content since most LMS platforms allow you to send an mp4 file. 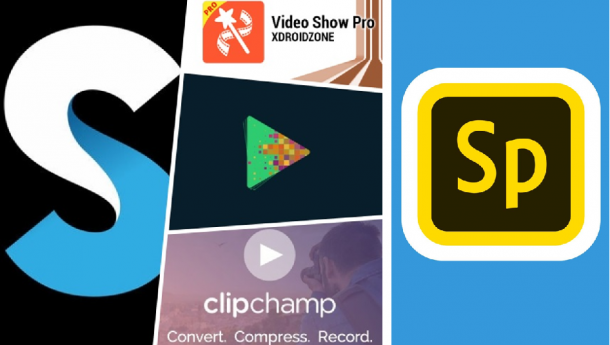 Adobe SparkVideo is a resource available with access from Adobe, Facebook or Google that allows you to create graphics, web pages and video stories. Based on templates to choose, the user can include other videos, text, photographs or icons that he deems appropriate. The system allows editing and modifying the selection of built-in elements and order. It is possible to include your own recorded recording at the time or a previously recorded audio with voice, own music or select the available music options. Adobe Spark Video can be used by teachers to create a video based on photographs looking for a high visual impact while accompanying the voice image. The video can be published and shared or downloaded in mp4. Also, Renderforest is a tool for creating videos, explanatory animations, kinetic typography or presentations. This online digital tool is available with access through the creation of a user account or through social networks. It offers a large number of templates with current design. The option without cost allows you to publish on YouTube so that the link becomes available to be sent to the classroom. The management subjects can benefit from this resource since it offers a very visual alternative to explain key concepts. VideoShow is an application for Android and iOS mobile devices that allows you to edit photos and videos. The application asks for the user's permission to access the photo album, videos and images. Once access is allowed to start the video it is only necessary to select, in the desired order, the images that will be part of the video. The system itself creates the effects of the video but it is possible to include music, effects, subtitles, image transitions, etc. Finally, the video can be exported to be sent or saved. This feature allows the teacher to create video from images with great ease so that the photographs of the examples are offered to the student with clarity. Splice is an application available for iOS that allows you to edit videos and movies. Installing it requires access to the user's photo and video album. After selecting the elements that are going to configure the video, the user only has to choose between different types of music record and finally, various editing options, it is advisable to opt for those that appear by default. After incorporating a title the video will be ready to be sent using a link. Its use in online education in management is varied: it can be used to illustrate cases, present elements of the context of the formative activity or provide details of procedures, among other uses.